On this tour through Vienna’s Old Town, we begin at Hoher Markt square. This was situated in the middle of the Roman military camp Vindobona. 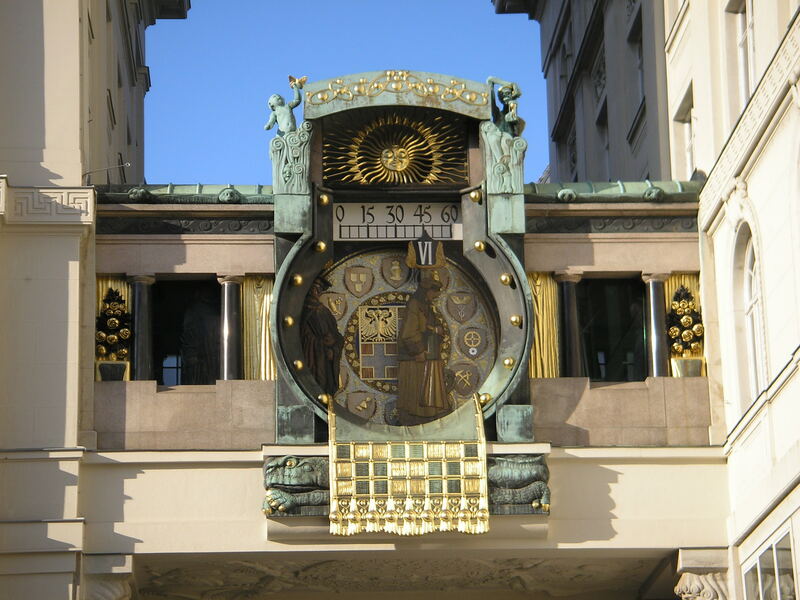 Today, there is Vermählungsbrunnen, the „wedding fountain“, from the baroque period and the widely-attended Ankeruhr, a musical clock. We then walk on across Judenplatz square with the Holocaust memorial to Platz am Hof square. The place of today’s elegant Park Hyatt hotel is where the Babenberg Dukes resided in the 12th century. The baroque façade of the “Kirche zu den neun Chören der Engel”, the Church of the Nine Choirs of Angels, is eye-catching. Why is just the façade in baroque style? And which historical event took place on the balcony? The Marian column in the middle of the square was built in return for the successful defense against the Swedes during the Thirty Years’ War. We carry on to Freyung square where once the very first Viennese monastery was built, the Schottenkloster, the Scottish Abbey. Furthermore, there is a lot to tell here about former palaces of the nobility. Passing Ringstraße street, we reach Hofburg Palace, the center of power of the Habsburg dynasty for centuries.